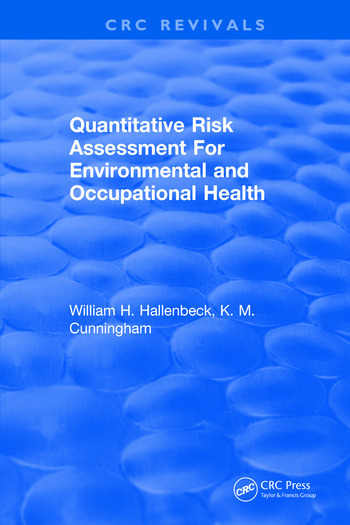 Many individuals and groups need a usable treatment of the methodology required to assess the human health risks caused by toxicant exposure. This need is shared by industrial hygienists, environmental, occupational and public health professionals, toxicologists, epidemiologists, labor unions, attorneys, regulatory officials, and manufacturers and users of chemicals. The reader needs only a basic knowledge of biology adn algebra in order to utilize the methodology presented. In addition, a basic knowledge of toxicology, epidemiology, and statistics is derisrable for a full understanding of some aspects of risk assessment. Sophisticated computer programs are not required. All the computations can be carried out with a pocked calculator.